That’s the catchcry from all our #blessed friends on social media. However, when it comes to EPW, the cliché reigns true. 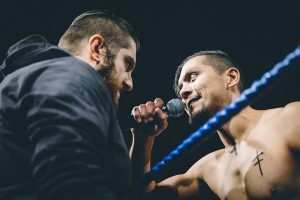 ReAwakening 16 has come and gone, and the impact from an amazing night of action continues to be felt in 2018. On the night, we saw a group turn themselves from Generation Zeroes into Generation Heroes. ‘The Big Rig’ Scotty Ryan successfully defended his EPW Coastal Championship, Allyson Cruz and Hayden Zenith backed up a huge Tag Team Rumble win to claim the EPW Tag Team Championships, and in the main event, ‘The Don’ Michael Morleone became the new EPW Champion. While it could be easy to rest on those laurels, our EPW wrestlers are continuously looking to grow and raise the bar for Aussie wrestling. And unlike this writer, they’re not going to promise to be healthier, jog 100m and then Uber to the nearest fried chicken store. It’s a pretty lofty resolution. However, after The Don’s 2017, who could fault it? Last year saw the rise and maturing of Michael Morleone which ultimately ended with EPW Championship gold. 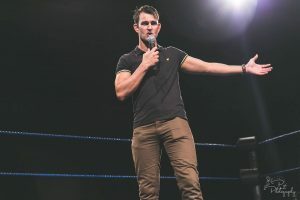 With his family and Gen Zero stablemates celebrating in the ring, the only thing missing was a celebratory rendition of ‘Mr. Brightside’. It is a monumental task to get to the top of the mountain at EPW, but it’s fair to say that it is an even bigger task to stay there. The target is now firmly on the Don’s back as the best of the best conspire to take him down. 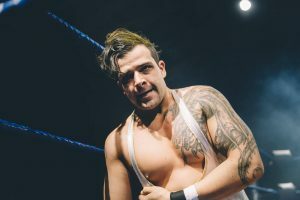 The first of these being former EPW Champion, ‘The Smashing Machine’ Chris Vice, who ruined the Julian Ward fairy-tale by winning the Invitational Tournament at ReAwakening. Personally, I hadn’t felt that crushed since I found out Taylor Hanson was a dude. Morleone will need to scout Vice and keep working on improving his game. Vice has not been EPW Champion for over four years, but he is on a roll. 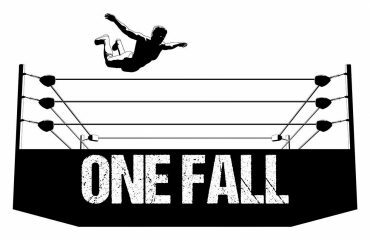 If The Don is just a little bit off we could be looking at a new champion, as well as a sudden fall from grace which could take a lot of time to recover from. The Don will get his chance to acquaint himself with Vice at Hot Summer’s Night when they sign the contract for their championship match. And if pro wrestling has taught us anything about contract signings, this is going to go as smoothly as a Coutinho transfer request. ‘Mistakes’ is probably too harsh a term. Would this writer prefer, “Partners of the team that did not win”? Well, yes, but it’s a bit wordy. What can’t be argued is Alex Kingston and Logan Grey tore the house down when they took on ‘The Untouchables’ at ReAwakening. However, whilst they can be mightily proud of their efforts, they were disappointed to walk away with the L in the record books. At Hot Summer’s Night on February 3rd, us EPW fans are lucky enough to be treated to the sequel. And fact is, if you ignore Grease 2, sequels always deliver. Just look at Guardians 2 or the original 4 Rocky films. For Grey and Kingston, this is going to be about much more than chopping down trees and running in the snow of the Soviet Union. The Street Gang Hooligans will want to prove that not only do they belong up there with Slater and Pitt, but they can beat them too. The Untouchables, however, don’t even believe that’s a possibility and were feeling so confident that they let YOU the FANS pick the stipulation for this must-see rematch (THREE STAGES OF HELL!). Hot Summer’s Night is going to be incredible, but I must admit a small part of me wanted to see a Lumberjack Match where I presume all participants would have proceeded to skip and jump and press wild flowers. 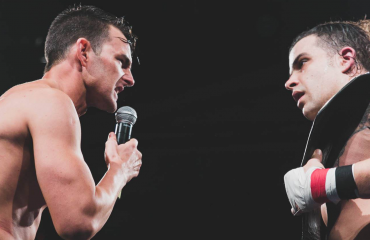 Ever since Taylor King entered EPW he has had a youthful disposition, but it appears that he feels even younger now. King is a figure that sharply divides opinion. You either really love him or you really dislike him. What can’t be denied, however, is the star of The Taylor King Show does get people talking. Taylor is a dreamer but it’s time to put himself on the map. His focus needs to be clear. Does he want to stay with the vision of pulling a Miley at the VMA’s, or does he want to crash wrecking ball style through the wall and leave his mark in EPW? Or am I simply being naïve? Could he put one over all of us, make like an indecisive young girl and just have both? Well, King certainly has the opportunity at Hot Summer’s Night to add gold to his resume when he takes on Scotty Ryan for the EPW Coastal Championship. 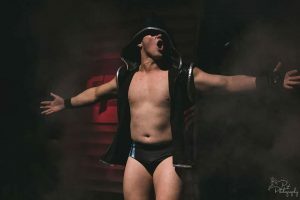 Ryan proved he was up to the sternest of challenges when came out with the victory against three tough-as-nails opponents at ReAwakening. However, with the Taylor King Taskforce never too far away from the delusional child star’s side, this may be a vision that King will be able to make a reality on Feb 3rd. The only toxic person I’ve ever encouraged to be a part of my life is Britney Spears. But after legal circumstances I can’t really talk about, I’ve not made that mistake twice. For The Warship, he has already made considerable progress on this resolution. 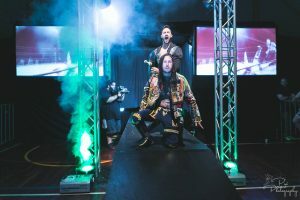 At ReAwakening, The Warship decided to end the association between himself and ‘The Messiah’ Davis Storm once and for all. He could have just unfriended him and left a passive-aggressive status update online, but The Warship is a different sort of cat. In the EPW Championship Match, The Warship came in to stand up for what he believed in and delivered a spear to The Messiah. No doubt this played a part in Storm losing his precious championship. Actions bring about consequences and The Warship is now firmly on the other side of Davis Storm. The two former Solution cohorts will go one-on-one at Hot Summer’s Night. Will The Warship remove Storm from his life for good? Or will The Messiah proceed to make Warship’s 2018 as painful as possible? And where do the other Solutions members sit? Are they with Warship? Storm? Or perhaps as the newly formed Latino Solution Order with Nacho Friends? And there you have it. A sample of some of the resolutions our EPW wrestlers could possibly definitely have dreamt up over the holiday period. Of course, there’s only one way to find out if they can live up to these fabricated resolutions, and that is to come down to Hot Summer’s Night on February 3rd at the Cyril Jackson Rec Centre. If you already bought your tickets at 11:57:58 pm on December 31, you are now sitting comfortably in the knowledge you will have an awesome night. If not? Never fear, you can still purchase your tickets now and start your new year right. See you at Hot Summer’s Night. 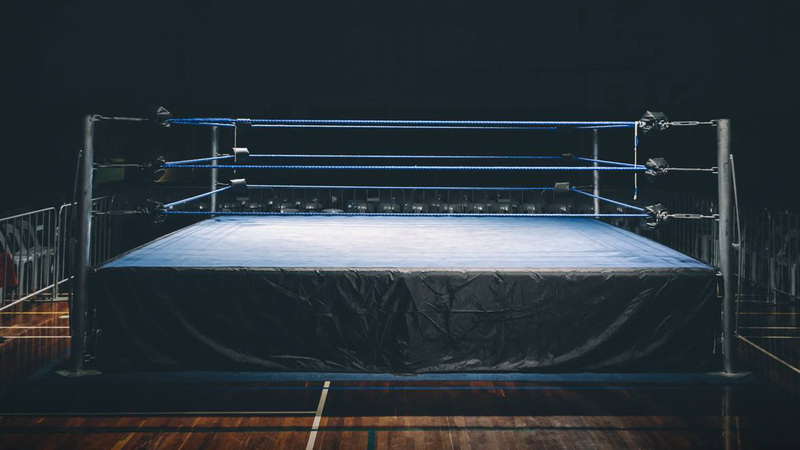 Eric McFarland is a pop culture obsessed, sports loving, pro wrestling tragic.